Most of us have heard our parents or grandparents talk about good tasting, old fashioned tomatoes that came right from the farm field, bursting with flavor. Heirloom tomatoes have a charming history and many have been handed down through the generations. 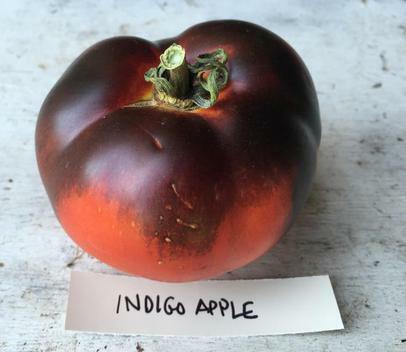 Many experts and enthusiasts categorize heirloom tomatoes into several categories. 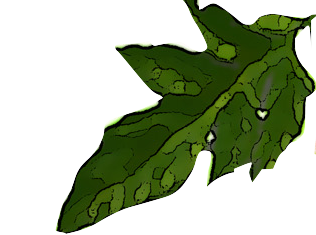 First are the family heirloom varieties whose seeds have been handed down through the generations. Another category includes more commercial varieties of open pollinated types that have been in existence for at least 50 years. 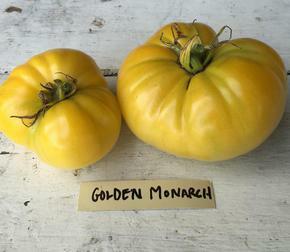 Next are those varieties which have been bred by crossing two heirloom types and stabilizing to create a new variety. Some of these fabulous and showy varieties are referred to as "artisan" tomatoes. Last but not least are the interesting tomatoes that crop up in the field due to cross-pollination or mutation. However they came about, heirloom tomatoes have stood the test of time and enjoy a wildly popular following among gardeners, chefs and foodies everywhere. Heirloom tomato varieties come in wonderful colors, shapes and sizes. 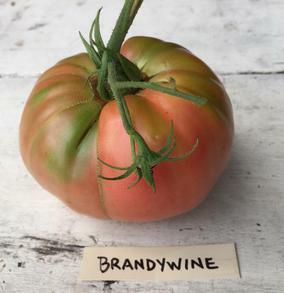 Often comparable to fine wine, each variety has it’s own wonderfully unique flavor characteristics; some complex, earthy, sweet, vibrant, spicy, smoky and even tropical. One of the most endearing traits of the heirloom tomato is the unique shapes of the fruit; ranging from round to fluted shapes; lemon shapes, oblong globes, heart shapes, and flattened fruits. Several of the “peach” varieties have a fuzzy, peach like skin with delectable sweet fruit. Others have brightly colored flesh in contrast to their skin color. No two varieties are the same, and often there is wide variation in fruit from the same plant. 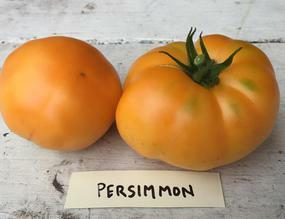 Some gardeners may claim that heirloom tomatoes are finicky to grow in comparison to hybrids. 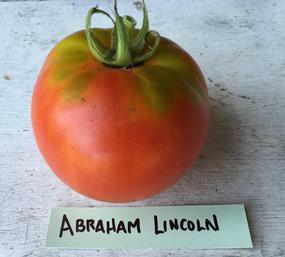 That might be true in some cases, but after many years of growing hundreds of varieties, I have found many of the heirloom varieties to be hearty and reliable producers. Growing heirloom tomatoes can become somewhat of an addiction. As you wait patiently for the fruit to ripen, you never know exactly what interesting shapes and colors might crop up on your vines. The variations are truly magical, and a delight to every gardener. The real reason, however, that the heirloom tomato has risen to fame and endured the generations is, indeed, the flavor. Fabulous, complex, old fashioned flavor. Once you try them, you simply can’t go back to the uniform and often tasteless hybrids, and you will savor every last fruit of the season by canning, preserving and freezing just to get you through the winter in excitement for the next growing season. Copyright 2018 RidgeBridge Farm. Photos may not be used without permission.